When your bag of spicy Doritos comes with a freaking warning label, you're probably in for way more than just neon cheese-dusted fingers. 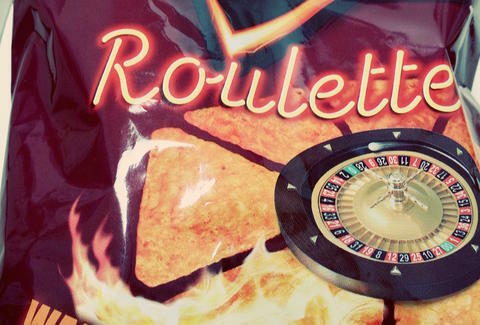 For a 14-year-old British girl, the stupidly spicy chips hidden in bags of Doritos Roulette, were more than she could handle. Beth Laybourn, a student at George Pindar School in Scarborough, said she had trouble breathing and feared she was "going to die" after eating one of the chips during a Russian roulette-style game with her brother and a friend, according to a report by The Guardian. Laybourn, who is asthmatic, later had a severe asthma attack at school, and now, the school is warning parents about what they've dubbed as "Dangerous Doritos." Welp. A Doritos spokesperson apologized after the incident and emphasized the warning on the bag, saying, "The front of the pack states, ‘Warning: Some of these chips are ultra spicy,' while we also say they are not recommended for young children," according to a report by The Sun. First released in Mexico, Doritos introduced the chips in the US for a limited time this spring. "Each bag contains mostly Doritos Nacho Cheese flavored chips with an ultra-spicy chip in every handful," Doritos said in a press release. "With all chips looking the same, it makes it even more challenging to guess whether the next chip you crunch on will send your taste buds sizzling." No word on whether they're developing a Cool Ranch antidote. Tony Merevick is Cities News Editor at Thrillist and typically avoids foods that come with warning labels. Send news tips to news@thrillist.com and follow him on Twitter @tonymerevick.